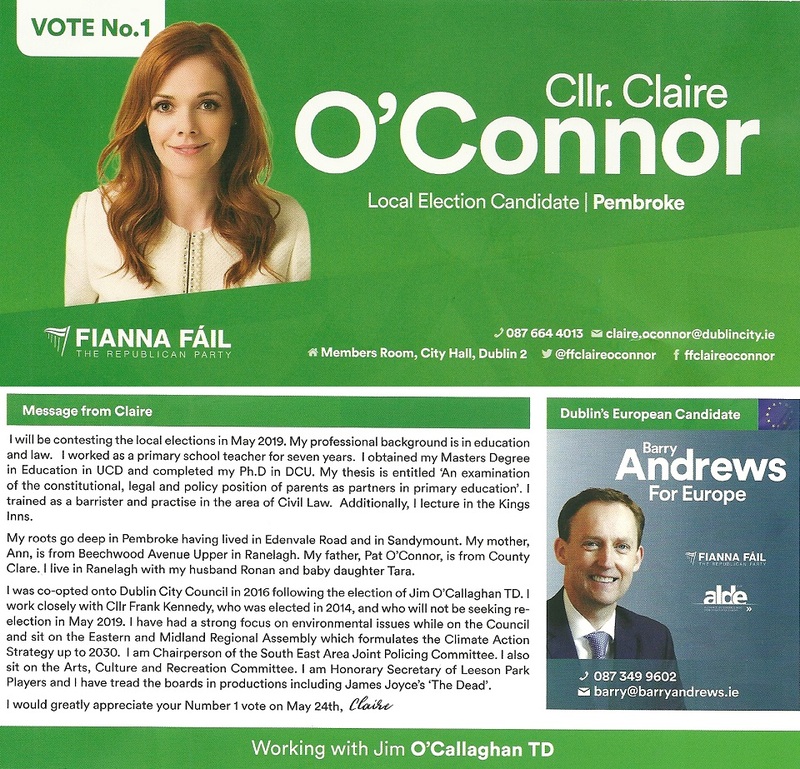 A Leaflet from Claire O’Connor of Fianna Fáil who is running in Pembroke for a seat on Dublin City Council. 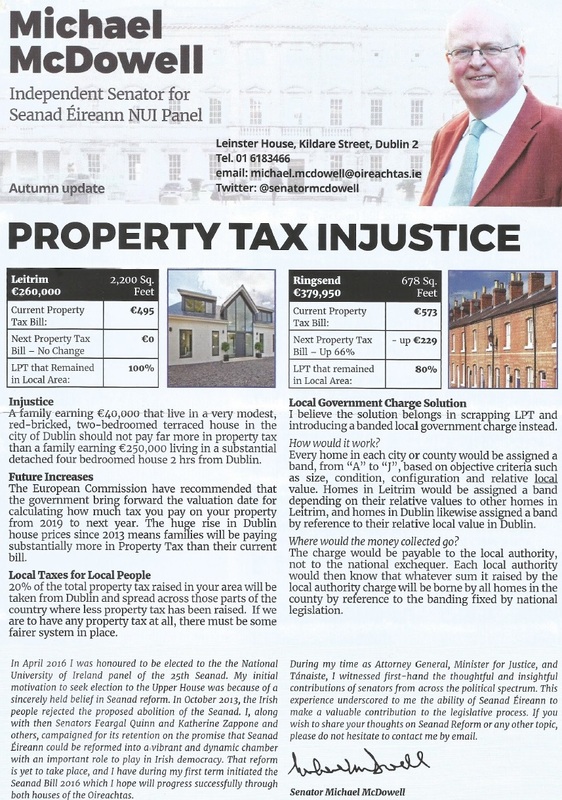 A newsletter from NUI Senator Michael McDowell which I gather is being distributed in Dublin Bay South. 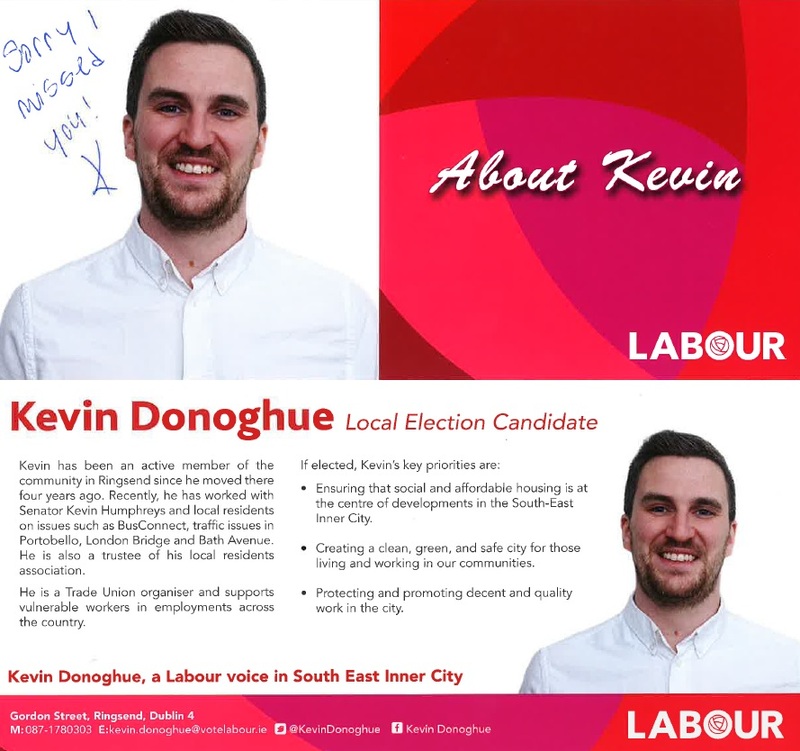 A Leaflet from Cllr. 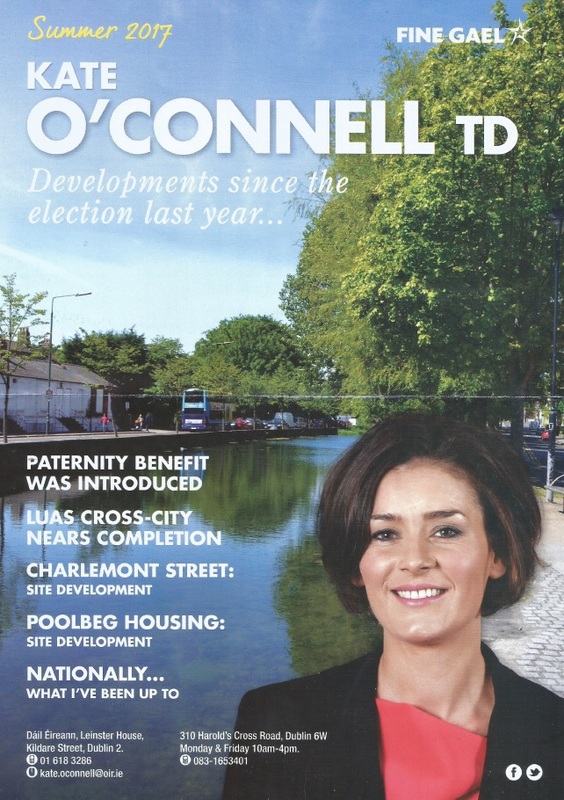 Claire O’Connor of Fianna Fail who was co-opted to replace Jim O’Callaghan on Dublin City Council after his election to the Dail for Dublin Bay South. 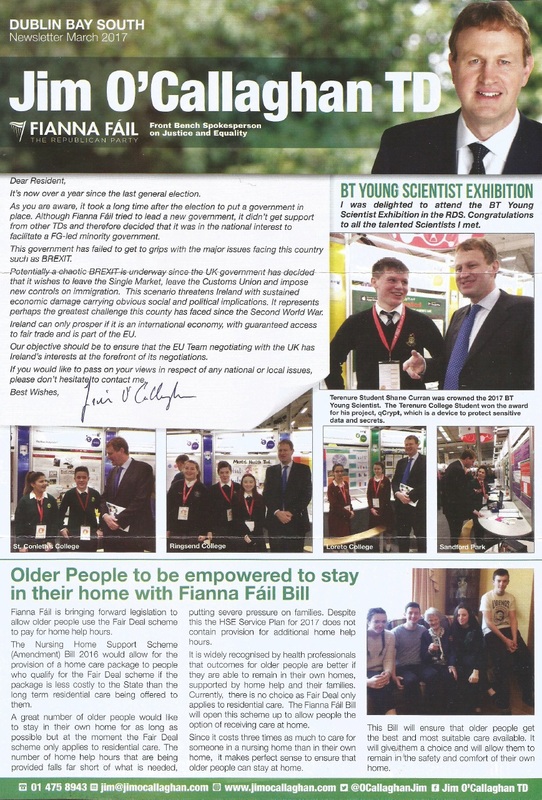 The March 2017 Newsletter from Fianna Fail Dublin Bay South TD Jim O’Callaghan.